The family of the late Sen. Paul Wellstone and five other passengers killed in last year's plane crash have reached a $25 million insurance settlement with the air charter company that operated the flight. The law firm which brought the suit announced the settlement Thursday, 10 months after the crash killed Wellstone, his wife and daughter, three campaign aides and two pilots. But this settlement does not necessarily mean an end to the legal action. Minneapolis, Minn. — In a written statement, the law firm said the deaths of the Wellstones and the others were unnecessary. The law firm says pilots' failure to maintain appropriate power and airspeed caused the crash. The three-page statement blames the lack of flight crew competence on negligent hiring, supervision and training on the part of Eden Prairie-based Aviation Charter, which operated the flight. Aviation Charter, its attorney and attorneys with Robins, Kaplan, Miller and Ciresi did not return phone calls placed by Minnesota Public Radio. Minneapolis attorney Charlie Hvass, who specializes in aviation accident litigation, has been following the case. Hvass says it's no surprise a settlement came together outside of court. The amount of the settlement indicates that they understood they had responsibility. "The amount of the settlement indicates that they understood they had responsibility. The risks to the insurance company are huge from the standpoint of -- if they don't make the offer when the demand is made, when they've had a chance to investigate, they run the risk of their own insured coming back after them because they didn't get the matter resolved," says Hvass. "The talk, at least among the aviation lawyers early on, was the fact that the policy is going to have to be offered at some point in this case, to avoid that type of thing happening." On Oct. 25, with the 2002 election less than two weeks away, Wellstone, his wife and daughter, along with three campaign aides and two pilots, were headed for a debate in Duluth, with a morning stop on the Iron Range to attend the funeral of a state lawmaker's father. Radar showed their twin engine King Air 100 veered off course on its approach to the Eveleth Virginia Municipal Airport. The burning wreckage was found on the ground a couple miles southeast of the runway. The National Transportation Safety Board has not yet released its final report on the crash, and isn't expected to until sometime later this year. But information the NTSB has made public points to pilot error, not to mechanical problems or bad weather. Of the $25 million settlement, $7 million will go to Sen. Wellstone's estate, and $3.25 million will go to Shiela Wellstone's estate. The estate of their daughter, Marcia Wellstone Markuson, will get $3.75 million. Campaign aid Mary McEvoy's estate will get $4.5 million. The estates of campaign staffers Tom Lapic and Will McLaughlin will each receive $3.25 million. Hvass says in wrongful dealth settlements, money is distributed based primarily on victims' future earnings potential. 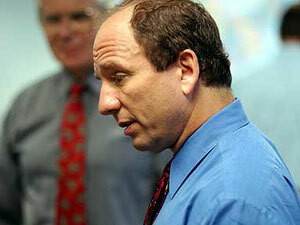 "The settlement on Sen. Wellstone's case is in line with what we've seen nationally. Sen. John Tower of Texas was killed in a commuter crash a few years ago, and that settlement as I recall was about $5 million. So it's certainly in line with what we'd expect," says Hvass. The settlement had been rumored for weeks. The families of the crash victims have not returned calls as of Thursday afternoon from Minnesota Public Radio. The estates of pilots Richard Conry and Micheal Guess are not beneficiaries of the settlement. Conry was the pilot, and Guess was second in command during the flight. Attorney Mike Padden, who represents Guess's family, says he plans to to file a wrongful death lawsuit against the estate of Capt. Richard Conry. Padden says that lawsuit will eventually seek damages from Aviation Charter. Padden says all of the evidence released thus far indicates Conry was flying when the plane went down. He says Robins, Kaplan, Miller and Ciresi unfairly and wrongly implicated Guess in its assessment of blame. "There's no question in my mind, when the evidence plays out in this case, the determination of any fact-finding will be that not only was Richard Conry the individal who operated the aircraft, but his actions are the reason that this tragedy occurred -- period," says Padden. Other lawuits are also possible. Robins, Kaplan, Miller and Ciresi told the Star Tribune newspaper that despite the settlement, the firm is continuing with its investigation of the crash. A lawsuit could emerge against the State of Minnesota, which operates the navagational beacon at the Eveleth Virgina Municipal Airport. Federal officials tested that VOR signal and found it was slightly out of tolerance after the crash.